UCLA engineers develop artificial intelligence device that identifies objects at the speed of light. 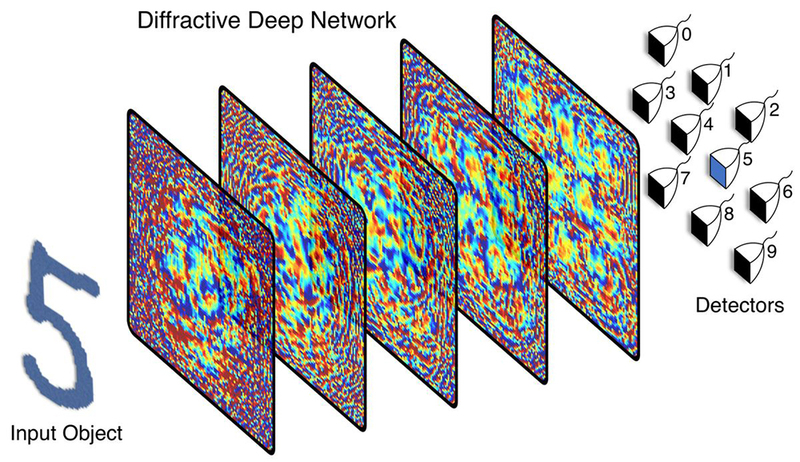 A team of UCLA electrical and computer engineers, led by Professor Aydogan Ozcan, has created a physical artificial neural network — a device modeled on how the human brain works — that can analyze large volumes of data and identify objects at the actual speed of light. The device was created using a 3D printer at the UCLA Samueli School of Engineering.